On Saturday July 20, A Rotta Love Plus was on the west side of St. Paul holding our second Get Your Fix! fair of 2013. That day we provided 18 free spay and neuter surgeries to dogs whose owners may not otherwise have had the financial means to get their dogs fixed. To ensure that each dog made it to their appointment that day, a wonderful group of volunteers stepped up to provide transportation to and from the appointments when owners did not have their own transportation. In addition to the spaying/neutering services, ARLP also provided 40 DHPP vaccines, 38 rabies vaccinations, and 25 microchips, along with a collar leash exchange for dogs who either did not have a collar or leash or whose collar or leash was old/broken. GYF! 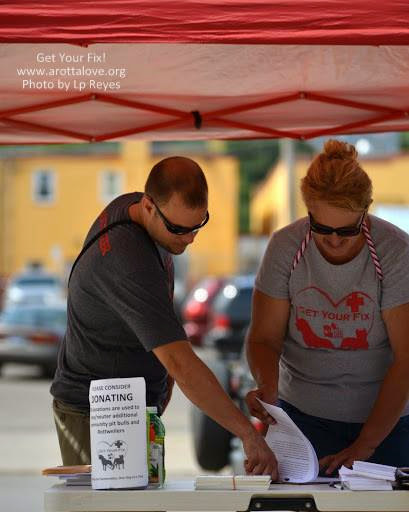 fairs also allows ARLP volunteers the opportunity to converse with dog owners about myths they may have heard about spay and neuter. One myth that we heard over and over in St. Paul was that in order to be healthy, a female dog must have one litter of puppies before being spayed. In truth, there is actually no medical or behavioral benefit for waiting until after a litter of puppies is born or even until the first heat cycle. In fact, each heat cycle that a female dog experiences increases her risk of developing serious medical conditions. 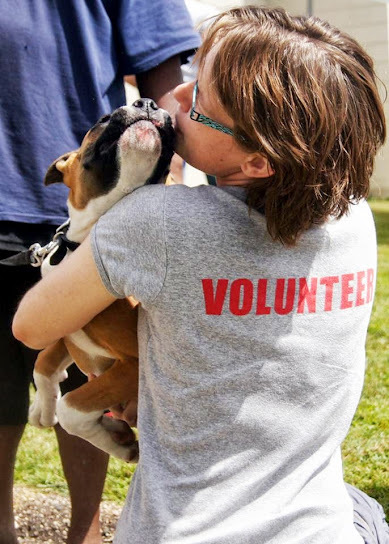 One of the things that our volunteers enjoy most about our fairs is seeing repeat customers! One dog owner and her dogs stood out at the St. Paul fair. Zeke, Nightmare and their mom all came to us last year to be neutered and vaccinated. They came back this year to update their vaccinations and to get microchips. The owner let us know that she tells all of her friends about our services and how much she enjoys bringing her dogs to the fairs and entrusting them to our care. She also said that one of her dogs in particular has become much calmer and better behaved since getting him neutered, a fact that she also shares with her friends when the subject comes up. She said that before her dog was neutered he never would have been able to wait in line in public at a place like GYF, but he was so well behaved in the vaccination line this year, which she attributes to his neuter surgery. One repeat customer, all grown up! 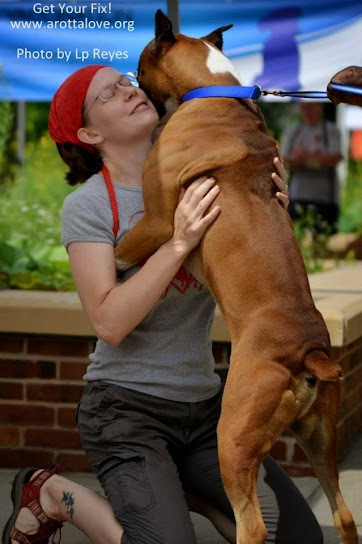 It’s making connections like these that allow ARLP to have a meaningful impact on the lives of the dogs in our community. 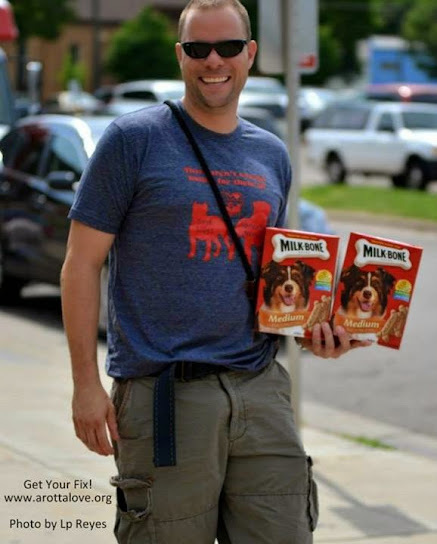 A HUGE shout out goes to Del Monte Foods/Milk Bone for sponsoring the vaccinations, microchipping, and collar/leash exchange. It was because of their generous donation that we were able to provide these services to the community. Posted in ARLP Updates on August 6, 2013 by Michelle.